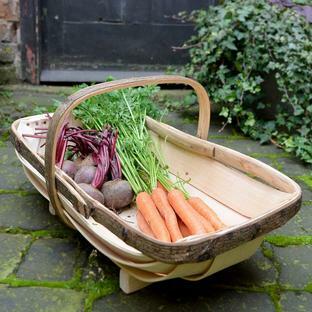 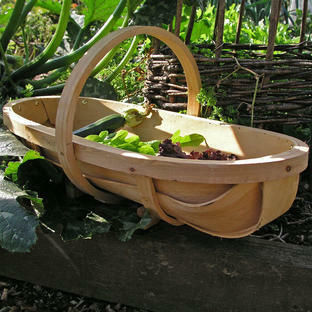 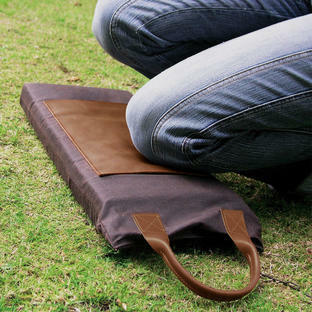 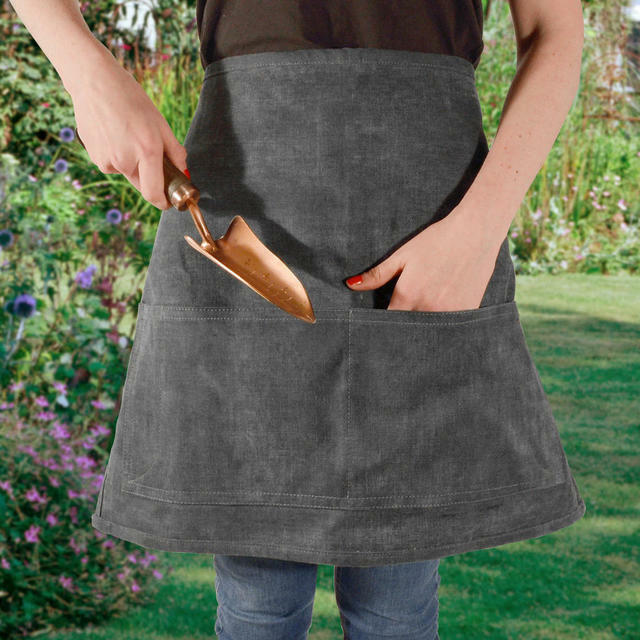 Large heavy duty garden apron. 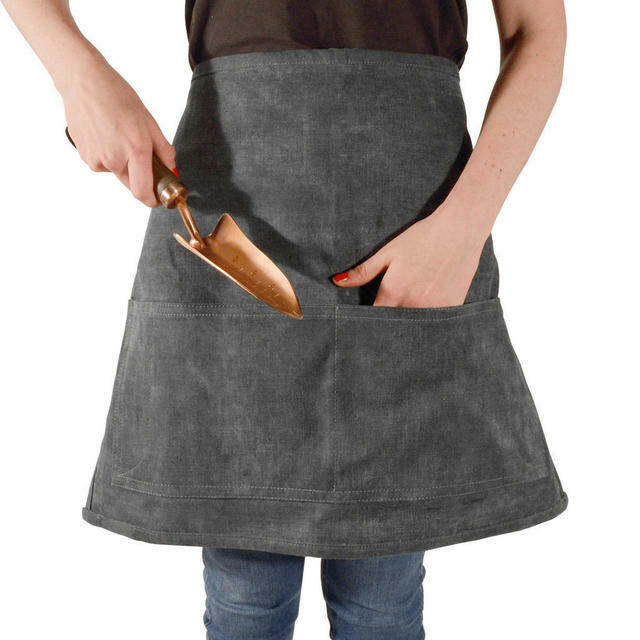 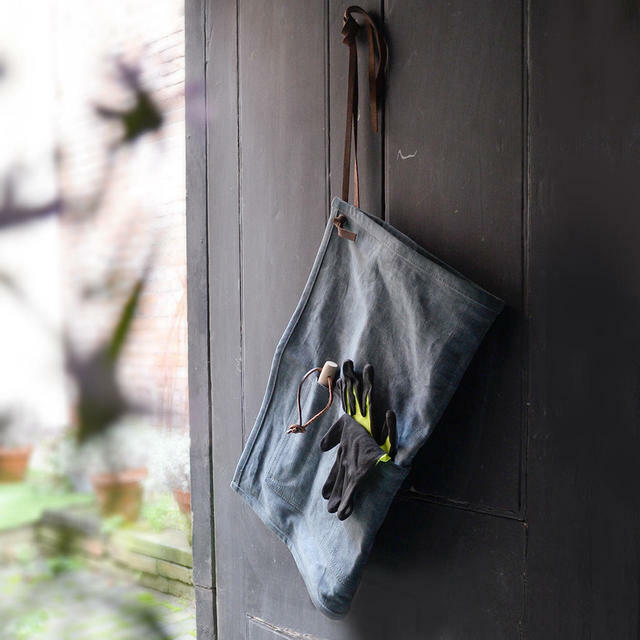 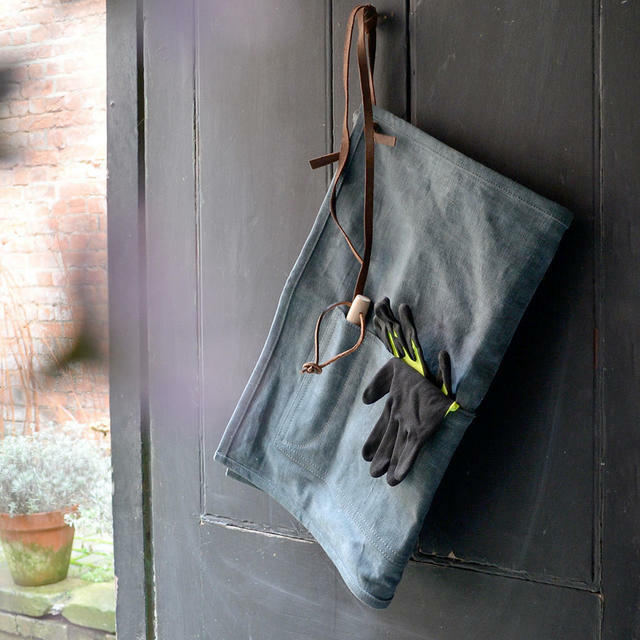 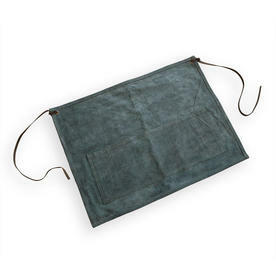 Large artisan style half apron in soft vintage stone-washed denim, with deep pockets at the front. Now discontinued, see here for alternative aprons..
Cotton apron with leather ties.